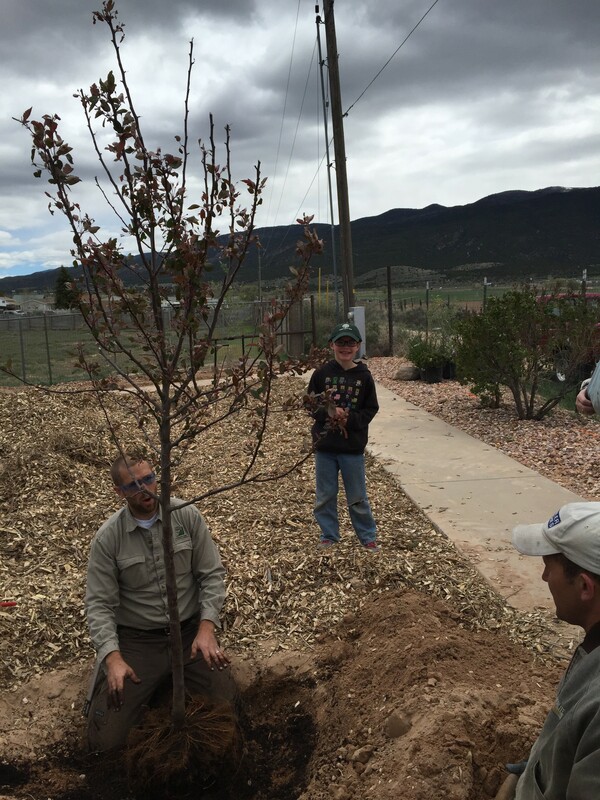 ENOCH CITY — Enoch City once again lived up to its nationally-recognized title as a Tree City by bringing volunteers together Saturday for a celebration of Arbor Day that included, among other activities, the renovation of Garden Park. Enoch’s Arbor Day Celebration is an annual event that the city’s Tree Committee puts on each year to earn recognition from the National Arbor Day Foundation as a Tree City. This is the 12th consecutive year the city has earned the award. This year the committee brought residents together to nearly finish restoring Garden Park, a project that has taken two years and been entirely done with a volunteer staff. Their charitable work has given the park a complete makeover with completed projects that create a fun-filled ambiance for the community to enjoy. Some of the improvements include a newly lighted pavilion, barbecue, water fountain, picnic tables, benches and landscaping. “Literally thousands of hours have been donated by our neighbors and friends, and now we again have a park that can be used for recreation and provides a central gathering point for our neighborhood,” Jolene C. Lee, who has spearheaded the effort and was recently appointed to the Enoch City Council said. Other than some minor touch ups, this phase of the renovation is now complete. “This is an exciting day to finally see this project nearing completion,” Lee said. Residents of the Garden Park Subdivision were largely responsible for raising the money for the project. However, they also received grants from Rocky Mountain Power; the Utah Division of Forestry; Fire and State Lands; and the Cedar City/Enoch Lions Club. Other activities for the day involved providing residents with a tree-planting demonstration that came with free trees and tulip bulbs. Daniel Allen, an urban forester for the Division of Natural Resources and a resident of Enoch, gave a brief presentation on proper tree planting and care, then helped residents plant five additional trees and several bushes around the re-envisioned area of the park.